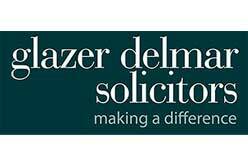 Glazer Delmar Solicitors is a law firms in South East London. Advising and representing clients in all types of family matters, residential property, Wills, Probate, Powers of Attorney, Personal Injury Compensation etc. Bexley, Bromley, Croydon, Greenwich, Kingston, Lambeth, Lewisham, Merton, Southwark, Sutton, Wandsworth. East Dulwich, London SE22 9ET, United Kingdom.